Chronic pain affects 100 million Americans. Costs associated with pain are estimated to be $560-635 billion annually, mainly due to medical costs and decreased productivity. Although pain is a side effect of many diseases studied at the National Institutes of Health (NIH), there is not a center at NIH devoted specifically to pain research. As a result, the NIH Pain Consortium, made of members from all Institutes and Centers at the NIH, was established in 1996 to identify key areas of pain research and to create a long-term plan for pain research at the NIH. In May 2012, the Consortium held its 7th Annual Symposium. Dr. Nora Volkow, Director of the National Institute on Drug Abuse, kicked off this year’s Symposium providing an overview of the Consortium as well as the state of funding for pain research. She noted that $386 million dollars were spent on pain research in 2011, which represents a greater than 50% increase since 2006. The Symposium included a session on complementary and alternative methods (CAM) to help treat chronic pain. Dr. Catherine Bushnell (McGill University) presented research showing that an individual’s psychological state may affect their pain experience. Studies have suggested that a person’s emotional state (for example, if they are in a good mood or a bad mood) will affect how much pain bothers them while attention (whether or not they are distracted from pain) will affect how intensely they feel the pain. There are some CAM therapies that may change psychological state, including meditation and yoga. Meditation and yoga have been shown to change pain perception. In one study, yoga practitioners (those who have been practicing yoga for at least 6 years) and controls (non-practitioners) completed a cold pressor test to measure pain tolerance. In this task, participants place their hand in ice cold water for as long as they can. The results showed that yoga practitioners had a higher pain tolerance — they were able to keep their hands in the cold water for longer — than did controls. Dr. Bushnell also described ways in which chronic pain and some CAM therapies have opposing effects on brain anatomy. For example, chronic pain has been shown to result in thinner areas of brain gray matter while practicing meditation and yoga may result in thicker areas of cortex. Dr. Dan Cherkin (University of Washington) presented data relating to CAM therapies —specifically acupuncture, massage, and yoga — for chronic back pain. Different types of acupuncture: individualized (acupuncture points were tailored to the patients), standardized (general acupuncture points were used), and simulated (a toothpick was used at acupuncture points instead of a needle), were compared with usual care for treating chronic low back pain in one study. Patients suffering from low back pain were randomized into one of four groups (individualized acupuncture, standardized acupuncture, simulated acupuncture, or usual care) and pain and gain of function were assessed at 8, 26, and 52 weeks. The three types of acupuncture were more effective in improving gain of function than was usual care (pain results were not presented). Another study compared two types of massage (relaxation and focused structural massage that specifically targets the lower back) with usual care on chronic low back pain. Both types of massage were better than usual care in improving gain of function. Dr. Cherkin also described a study in which yoga was compared with a stretching program and self-care for chronic low back pain. Yoga and the stretching program were more effective than self-care. The results of these NCCIH-supported studies suggest that CAM therapies may work better for treating chronic back pain than usual care by itself and should be considered prior to costlier or more invasive treatments. Dr. Natalia Morone (University of Pittsburgh), whose work is supported by the National Institute of Aging, spoke about challenges in using mind-body approaches for treating lower back pain in older adults. Researchers need to consider what postures to use when working with older adults. For example, it is often difficult to get elderly patients up from the floor after sitting or lying down meditation. Researchers also have to figure out the best ways to measure the effects of meditation during the length of their studies. Dr. Diana Wilkie (University of Illinois at Chicago) described a study investigating effects of massage therapy on pain in patients dying of cancer who were in hospice care. In that study, patients received usual hospice care or usual hospice care in combination with five daily massages. The massage group reported lower levels of worst pain than did the usual care group. However, there were not significant differences between the groups in symptom distress or mood state. Although more studies are needed to improve therapies for chronic pain, research presented at the Symposium suggested that non-pharmaceutical options may provide some relief for pain patients. Dietary supplements are a big business (in 2010, sales of dietary supplements in the United States were estimated to be $28.1 billion), but a confusing one. What exactly are dietary supplements? Who uses them? And perhaps, most importantly, do they even work? To help sort out these issues, the Office of Dietary Supplements (ODS) hosts an annual research practicum providing extensive background on dietary supplements, information on how they are regulated, and the latest research findings. The Mary Frances Picciano Dietary Supplement Research Practicum is an intensive, four day meeting featuring speakers from universities around the country, the NIH, and other government agencies, such as the Food and Drug Administration (FDA). The 6th annual practicum was held in 2012 with 147 attendees, including professors, dietitians, pharmacists, and graduate students. Clifford L. Johnson, M.S.P.H, from the Centers for Disease Control and Prevention (CDC), introduced the National Health and Nutrition Examination Survey (NHANES), which is designed to “assess the health and nutritional status of adults and children in the United States.” The NHANES, used in some of the research presented at the practicum, consists of in-home interviews, medical examinations, and follow-up interviews. This survey provides information about health behaviors, nutritional status, and risk factors for diseases in the population. NHANES also provides a way to assess dietary supplement use in the United States. Christine L. Taylor, Ph.D., from ODS, discussed safety issues surrounding dietary supplements, including ways in which safety is measured and reported. There is a different approach to safety for dietary supplements than for drugs. Initially, drugs are assumed to be unsafe and manufacturers must provide ample evidence to the FDA that a drug is safe before it is allowed to go on the market. However, food and dietary supplements are generally assumed to be safe and do not require FDA approval to be sold. Once those products are on the market, however, the FDA monitors adverse event reports (for example, a life-threatening experience or birth defect) to determine if products need to be pulled off the shelves. To aid consumers in reporting problems associated with dietary supplements, the Dietary Supplement and Nonprescription Drug Consumer Protection Act was passed in 2006. As a result, dietary supplement labels must include contact information for reporting adverse events and companies must report adverse events within 15 days and keep records for at least 6 years. William J. Gurley, Ph.D., from the University of Arkansas for Medical Sciences, spoke about interactions that can occur when using herbs and drugs together. 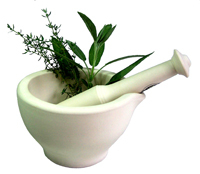 Very often, doctors and researchers are made aware of potential herb-drug interactions through published case reports. There are two main types of herb-drug interactions: pharmacodynamic, in which herbs have measurable effects on the body (e.g. changes in heart rate or blood chemistry); and pharmacokinetic, in which herbs affect drug absorption or metabolism. An example of a botanical with high potential for drug interactions is St. John’s Wort. This plant increases the activity of proteins responsible for drug metabolism. That increased activity leads to drugs being broken down faster than normal, so they have decreased effectiveness. Dr. Gurley described cases of transplant patients who had been taking cyclosporine (a routine drug used to prevent organ rejection) that had stopped working. It turned out that these patients were also using St. John’s Wort, which was interfering with the drug’s effectiveness. Robert M. Russell, M.D., from Tufts University, provided information concerning requirements for conducting clinical studies using dietary supplements. If a researcher is interested in conducting a clinical trial testing an unapproved agent for treatment purposes or an approved agent for a new treatment (such as Saw Palmetto for treating symptoms of enlarged prostate or St. John’s Wort for treating depression), they must receive approval from the FDA. Information that must be provided in their application includes results of animal and toxicology studies, manufacturing information, and a detailed protocol for the proposed study. The 2012 Dietary Supplements Research Practicum offered a comprehensive look at a number of issues associated with dietary supplements including how and why they are used as well as methods for researching them. For information about the 2013 Practicum, go to http://odspracticum.od.nih.gov/.